Shoulder injuries can occur in a variety of ways: during sports, from falling, overuse and more. Some shoulder injuries are minor while others are more serious and may take a significant recovery time. 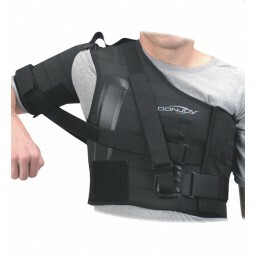 If you have a shoulder strain or sprain, dislocation, instability or torn rotator cuff, your doctor may suggest that you wear a shoulder brace or sling that may help provide additional support and/or immobilization as needed. 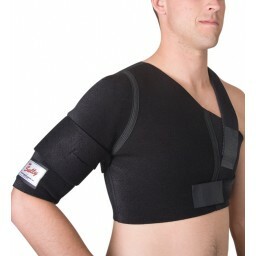 We have different types of shoulder stabilizers designed to protect and support the shoulder post-injury. Always contact your physician before participating in any activities if injured. Reusable ice pack to help alleviate neck pain. Extra-large, reusable ice pack to help reduce large muscle group soreness or swelling. Moisture heat pad to soothe sore muscles and spasms with auto shut off.